Welcome to the cheapest cruises from Florida list. The bargains sell out and change constantly, so we can't guarantee availability. Prices are per-person, double-occupancy. If you find a cruise deal you like, reserve it quickly because the best prices don't last long. 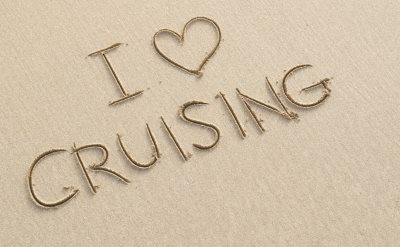 The best cruise savings can be for early bookings or last minute cruise deals. There's always some great stuff out there. $60 per night: 7-night Western Caribbean cruise on Carnival Cruise Line. Priced from $419. Round-trip from Miami (Florida) to Grand Cayman (Cayman Islands), Mahogany Bay (Honduras), Belize and Cozumel (Mexico). Depart November 2, 2019. $76 per night: 7-night Western Caribbean cruise on Royal Caribbean. Priced from $530. Round-trip from Tampa (Florida) to Costa Maya (Mexico), Belize City (Belize), Cozumel (Mexico) and Grand Cayman (Cayman Islands). Depart December 7, 2019. $79 per night: 7-night Eastern Caribbean cruise on Norwegian Cruise Line. Priced from $549. Round-trip from Port Canaveral (Florida) to Tortola (British Virgin Islands), St Thomas and Great Stirrup Cay (Bahamas). Depart December 14, 2019. $93 per night: 7-night Eastern Caribbean cruise on Holland America Line. Priced from $649. Round-trip from Fort Lauderdale (Florida) to Half Moon Cay, St Thomas, Puerto Rico and Grand Turk. Depart November 13, 2019. 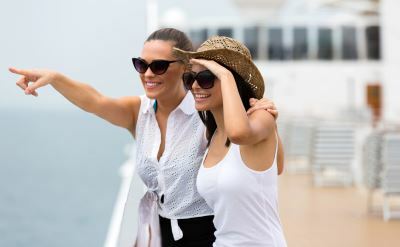 $94 per night: 7-night Western Caribbean cruise on Celebrity Cruises. Priced from $584. Round-trip from Fort Lauderdale (Florida) to Key West (Florida), Costa Maya (Mexico), Cozumel (Mexico) and Grand Cayman (Cayman Islands). Depart November 30, 2019. $99 per night: 10-night Southern Caribbean cruise on Princess Cruises. Priced from $989. Round-trip from Fort Lauderdale (Florida) to Princess Cays (Bahamas), St Thomas, St Kitts, St Lucia, Barbados and Antigua. Depart November 7, 2019.